A bus trip to Wales, with a 1st and 2nd team is the ideal start to the season. Thirty eight players along with a host of supporters made the way along the M4 for our first pre-season game. Caldicot RFC the venue for both 1st and Druids. The home club made a huge effort to make the visitors welcome. The supporters on the bus joined by even larger numbers of travelling Welsh, arriving at Caldicot from East and West along the M4 and North and South via the M5. How many other clubs could boast of a support base so committed to their club and the teams? To everyone's absolute delight John Dawes our Honorary President joined us at Caldicot along with life member Colin Bosley making his 64th first rugby match of the season as a London Welsh. The matches saw lots of new faces pulling on the scarlet shirt for the very first time. The Druids kicking off 15 mins before the 1st team found it difficult going against a physical and committed Caldicot 2nd team. At the half, the team were 10 - 0 down but Elis Staines showing superb leadership skills and with Alex Laybourne leading the pack, they galvanised the team, who quickly found greater cohesion and a quick score in the 2nd period. A far better display helped by the excellent S&C preparation saw the Druids score a further 2 tries to finally carry the win 15:17. The 1st team on the other hand started well but after the premature departure of loose head debutant Michael Griffiths joining another injured loose head Sam Mahonney on the side lines, the big Caldicot pack made the 2nd period very difficult for the Welsh. The 26:10 home victory not the start the Welsh were looking for but with 2 more pre-season games to look forward to, a baseline for both personal and team performance to work on. So with huge thanks to Caldicot for making our first pre-season visit to Wales for a few seasons so welcoming and enjoyable, we move on to another away fixture at Staines RFC on Thursday 23rd for our next preseason match. It's an 8pm Kick Off and a great opportunity to come and support the team as we approach the start of the new season. Pre-season match preview. 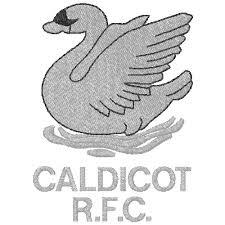  Hear from head coach Cai Griffiths thoughts on Caldicot for tomorrow's pre-season opener.